I am from Tajikistan, but ethnically Russian, studied in the U.S. and obtained B.A. in Banking and Finance from Ozyegin University in Turkey, previously worked in Hong Kong, and currently in China. Besides have travelled for business, or study purposes to Russia, Netherlands, Indonesia, UAE, Thailand, and Germany. During my private equity experience I participated in 8 potential LBOs (Leveraged Buy-Outs) worth of ~US$ 22 billions, of companies from Industrials, Energy, TMT, Pharmaceuticals, Consumer Goods, and mainly from FIG (Financial Institutions Group) sectors from the U.K., U.S., Hong Kong, Japan, Singapore, China, and Russia; advised top executives of private equity portfolio company on operations and efficiency enhancement resulting in EBITDA increase of ~60%; participated in assurance and audit of the largest commercial and state-owned banks, and MFIs (Micro-Finance Institutions) in Tajikistan; winner of CFA Research Challenge in Turkey, participant in CFA EMEA Research Challenge, winner of Credit Suisse HOLT Valuation Challenge, winner of Credit Suisse HOLT Community Competition. Throughout my background I was always was interested in Alternative Finance, Investments, Financial Infrastructure, FinTech, Monetary Systems, International Finance, and Banking. Therefore, I was always working towards these interests, while maintaining a solid international finance experience, in the meantime closely watching innovations and trying to see what will be the next “big thing” that can change the world or contribute to the better humanity. While the innovative markets are highly overvalued and crowded by amateur players, traditional financial sector is overregulated and presents a market oligopoly. Therefore, I believe that combination of high-level financial expertise with innovative project and knowledge can establish an intermediary between the two areas leading to better services for consumers, and benefits for other stakeholders. · CIO/CFO at Envinary Group – financial advisory and financial technology company. · CIO at Enlight Visionary – education investment initiative. · CFO/COO at undisclosed Project (TBA) – developer of digitalized asset ecosystem backed by the world’s most precious commodity. · Financial advisor to Digital Education Technology – ed-tech company building innovative university. 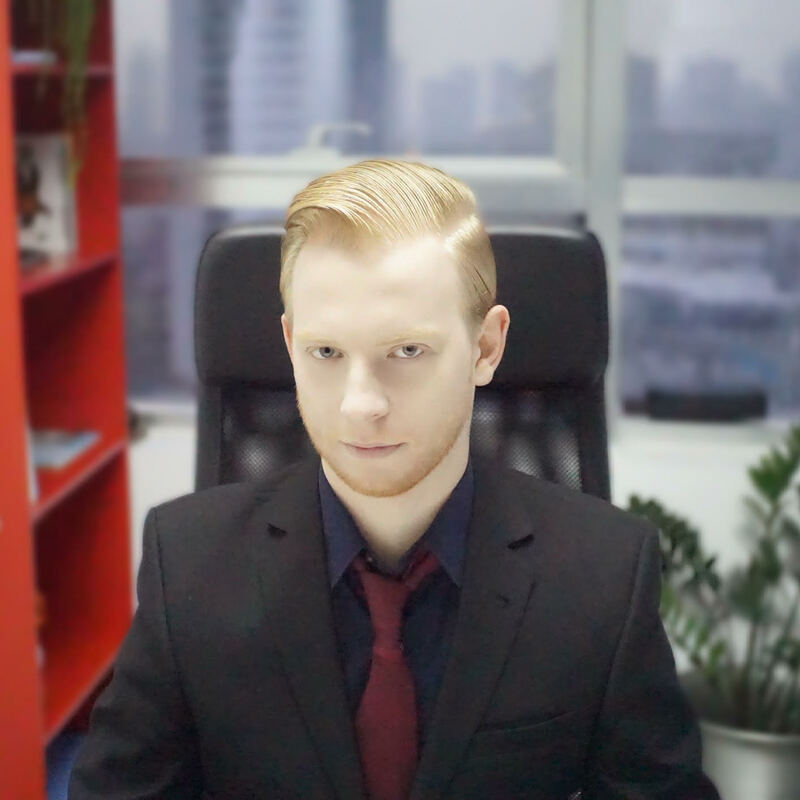 · Business Strategy Advisor to GIZA Device – developer of innovative hardware wallet. · Finance and Legal Advisor to TimeBox – decentralized custody service of digital assets. · ICO and Strategy Advisor to Datarius Cryptobank – social decentralized crypobank. · ICO and Strategy Advisor to AIDA Service – automated sales, logistics and storage of products provider. · ICO, Finance, Compliance and Strategy Advisor to ICONIC Ecosystem – ecosystem for the financing and offering of businesses’ assets through blockchain technology backed by decentralized assurance. · ICO and Strategy Advisor to EiraCube – global decentralized ecosystem directly connecting e-commerce merchants to offline sales and customers. · Expert Analyst, and New Experts Reviewer at ICObench – an ICO rating platform supported by investors and financial experts. I believe that my background, interest and Datarius’ project and idea are perfectly aligned, create mutual synergies while allowing both me, and the project team to acquire new knowledge and shape the financial markets in a better way. Despite the fact that 99% of ICOs will fail to deliver any meaningful results, and will collapse, due to the reason of how the market evolved and what kind of people it attracted, there are very few projects in the market that can contribute to the better world and deliver sustainable long-term return to investors, and I believe Datarius is one of such promising projects, that not simply tries to cash out on market hype, but to develop a sustainable long-term company with great potential. How can people find out more about Datarius and your work?